Firstly, getting global health on the G20 programme, was in no way a done deal. Germany, as the host, wanted to keep health high on the political agenda, ensure the continuity of the health discussions from the German G7 presidency in 2015, and highlight the relevance of global health to economic and social development. It was very difficult to convince all the other G20 countries that this new subject area was compatible with the mandate of the G20 as a global economic forum. This opposition was felt throughout all the following negotiations. Secondly, it was in no way a given that G20 health ministers would agree on a final statement. In May 2017, health ministers came together for their first meeting within a G20 context in Berlin. Germany fully involved WHO in the preparations and the then director-general of the WHO, Margaret Chan, attended the full meeting, including the emergency simulation. It was the only meeting aside from the Hamburg summit itself that Angela Merkel herself addressed. She challenged countries to act collectively and invest in global health. The final declaration was still largely undecided and the negotiations proved to be incredibly difficult. At one point it seemed as if there would be no final consensus statement. In the end The Berlin Declaration “Together today for a healthy tomorrow” focused on three issues: global health crisis management, health systems strengthening, and antimicrobial resistance (AMR). Finally, it was in no way certain that global health would get a significant mention in the final declaration. During the preparations for the heads of state meeting there was great concern that only the health security agenda would survive, if anything at all. Surprisingly, in the end a whole page of the final declaration was devoted to global health, which highlighted safeguarding against health crises and strengthening health systems, as well as combating AMR, including a new international research and development hub. All this speaks to an extraordinary diplomatic effort of the host and those countries that wanted to bring the health agenda forward and ensure it continues to be part of the G20 agenda in Argentina in 2018 and in Japan in 2019. So, what does this development mean for the WHO? A significant political process was put in place which positions global health in a new way and which provides the director-general of WHO with unprecedented access to heads of state and heads of international economic organisations. The newly elected director-general, Dr Tedros Adhanom attended the meeting within a week of taking office and made full use of this format, as his timeline on Twitter documents. Germany provided him with the opportunity to be present for the whole summit, participate in all the sessions, and have one-on-one discussions with world leaders and heads of financial agencies. When did you last see a director-general of WHO talk to at least 15 heads of state about WHO policies within one day? In addition, Dr Tedros participated in the Global Citizen Festival with the Canadian prime minister Justin Trudeau. The festival was transmitted to millions of people around the globe. He sent a UN message of solidarity: “Together we can create a world in which all people can lead healthy and productive lives regardless of who they are or where they live.” When did you last see a director-general of WHO promote human rights to so many young people alongside Coldplay and Shakira? What does all this mean for global health? Of course we need more determined action on global health—nobody would dispute that. But I suggest the global health advocates who are not satisfied take a close look at what the education community achieved at the G20. What did they do? They started a movement. For six months Global Citizen campaigned together with partners to put education on the G20 agenda and they succeeded. They got agreement to support and shape the development of a new International Financing Facility for Education (IFFed) that can mobilize resources of up to $10 billion so countries can borrow money on more favourable terms from international banks. An effort, by the way, that will also benefit health. I suggest global health advocates don’t blame Angela Merkel, but look critically at themselves, get out of their health bubble and start to mobilize for global health and its determinants at the G7 in Canada and the G20 in Argentina. The door has been opened—together with WHO, global health advocates should walk through. 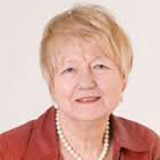 Ilona Kickbusch is director of Global Health Centre, Graduate Institute for International and Development Studies, Geneva, Switzerland. Competing interests: IK was one of the moderators of the Health Simulation at the G20 health ministers’ meeting.